I am a Freelance Botanical Illustrator, with work appearing in publications by Kew, the RHS, Collins, Dorling Kindersley, Quarto, and many others. I teach Botanical Illustration in venues around Oxfordshire. My work has been exhibited with the Society of Botanical Artists, The Hunt Institute, in the USA, and in the Shirley Sherwood Gallery, Kew. I have written a book. 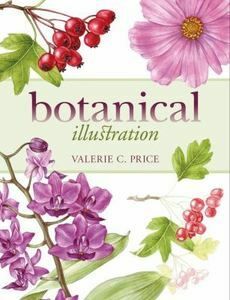 Botanical Illustration the First Ten Lessons and I am currently working on the second book in the series. I'm inspired to paint by the plants and flowers in my garden, and by walking in the countryside. Colour, shape and form are a glory to behold.